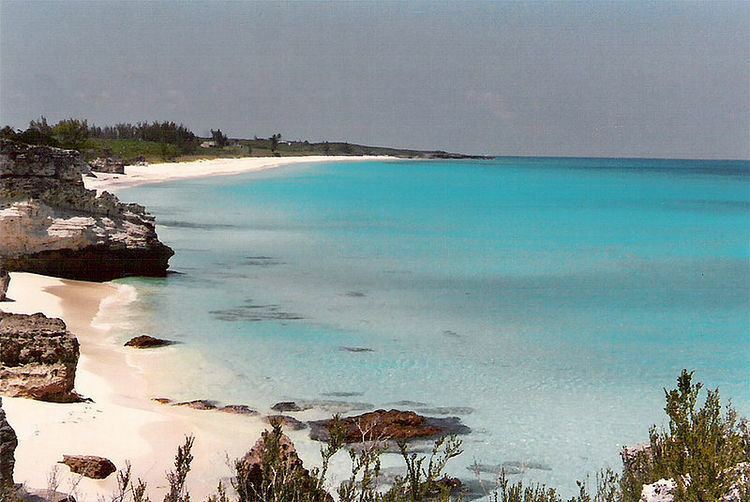 Cat Island is in the central Bahamas, and is one of its districts. Cat Island also has the nations highest point, Mount Alvernia (also known as Como Hill). It rises to 206 feet (63 m) and is topped by a monastery called The Hermitage. This assembly of buildings was erected by the Franciscan "Brother Jerome" (John Hawes). The first European settlers were Loyalists fleeing the American Revolution, who arrived in 1783. The island may have been named after Arthur Catt, a pirate, or the name may refer to its one-time large population of feral cats. Historically, the island gained wealth from cotton plantations, but slash and burn farming is now the main way of life for Cat Islanders. An economic crop is cascarilla bark, which is gathered and shipped to Italy where it becomes a main ingredient in medicines, scents and Campari. Until written accounts were found, Cat Island was thought to be Guanahani or San Salvador, the first island Christopher Columbus arrived at in the Americas. At the top of 206 ft Como Hill is Mt. 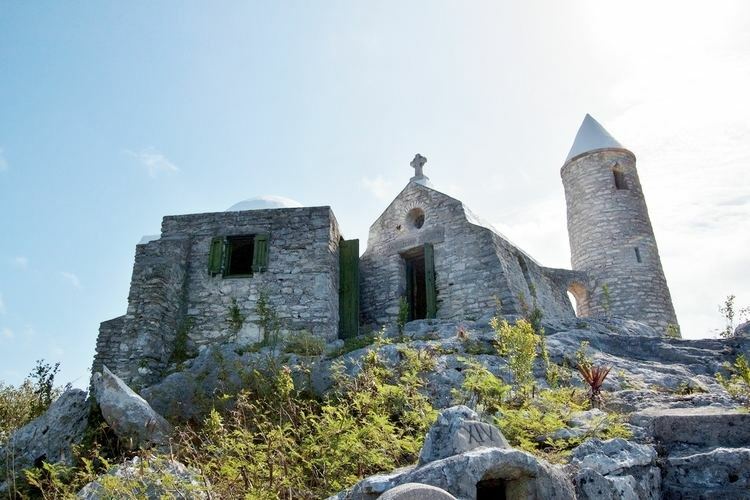 Alvernia Hermitage on Mount Alvernia, the highest point in The Bahamas. This small stone monastery built by hand by the architect hermit, Father Jerome, is at the peak and is worth the trek up this steep rocking incline, as well as the awe inspiring view. Just south of the Hermitage are the ruins of Armbrister Plantation. Armbrister Creek flows into a clear lake called “Boiling Point” or “Boiling Hole” whose tidal conditions cause bubbles and burps, the conditions which lead to folklore of a sea monster below its surface. Today, this is a great spot to spy rays and baby sharks and numerous birds that nest along its mangrove fringe. Located in Bain Town is another lake. This 65 ft wide 10 ft deep lake called Mermaid Hole is where many believe a mermaid lives amongst the 4 bed holes within that lead to underground caverns and passageways. One of the major attractions in Cat Island Bahamas is the Big Blue Hole near Orange Creek at Dickies Road. The hole is very deep and it has a strong undercurrents flowing into the sea. Many objects such as dead farm animals tossed into the lake ended up reaching the ocean through its caverns. The locals believed that a monster lived in Big Blue Hole and it was said to devour horses. This folklore still scares local fisherman from venturing too far into this freshwater lake. Dickie’s Road goes east to Griffin Bat Cave, once a hideout for slaves. Sitting atop a ridge alongside the road in the settlement of Old Bight is St. Francis of Assisi Catholic Church another beautifully crafted legacy built by Father Jerome, with amazing frescos, engravings and sculptures. Learn about the island’s history at Columbus World Centre Museum in Knowles, or visit the childhood home of Sir Sidney Poitier, Academy Award winner, in South Bight. There is a glass bottom bridge in Cat Island. You can see the water by looking over it. One side is calm and the other side is pure ocean.